We have a group on Facebook called Foodaholics in Ahemdabad. 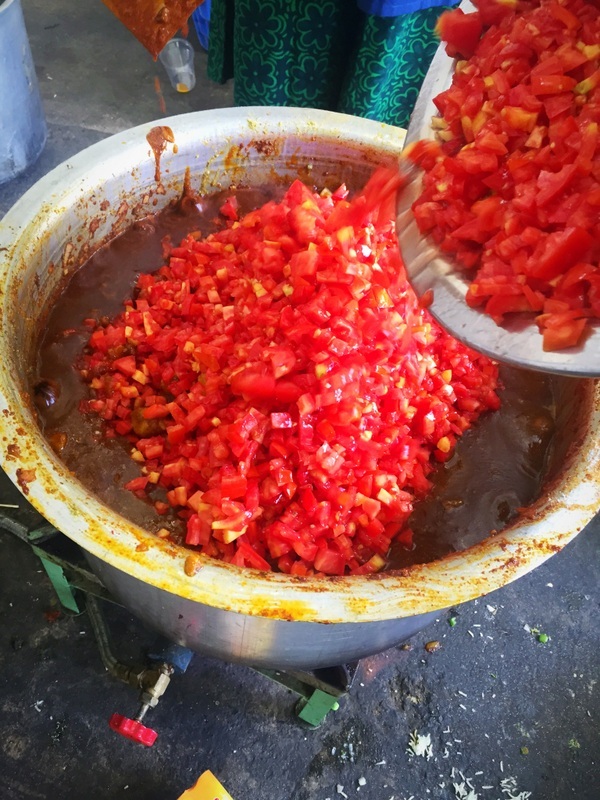 This is a group of all foodies where everyone generally posts about the food places or new eatery joints or some query on food…well basically anything and everything related to food. There is a trust called Samvedna who run a Summer Camp for underprivileged children. In this summer camp these children have a whole lot of interesting activities which are related to music, art and dance. These children are provided breakfast and lunch. So the Foodaholics volunteered to cook their lunch. 15 days work shop so 15 lunches that these kids would love, which would be different than Daal and Sabzi. 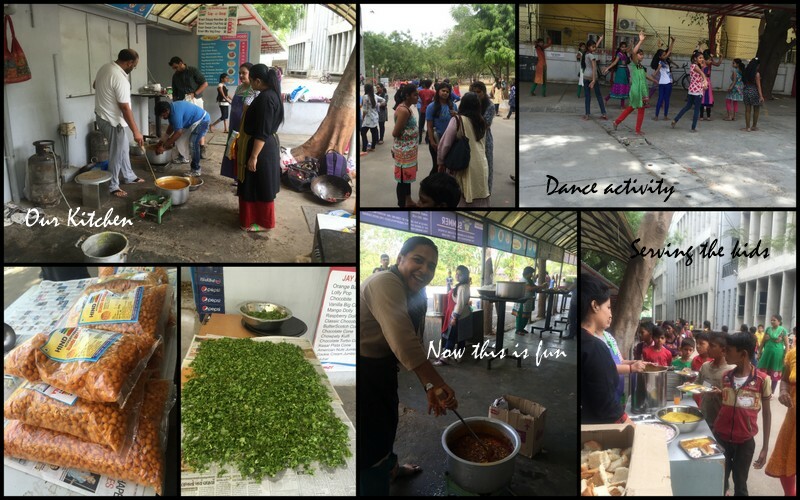 We were on an average about eight volunteers and had to cook for 200 kids and 100 volunteers and staff ( the 100 volunteers were for different fields, music , art, craft, cleaning, dance, photography etc ) . I could manage to cook for only five days as I was traveling after . Trust me these five days were a real learning experience where the Foodaholics, who were complete strangers met and became friends. We had just one thing to talk about FOOD ! 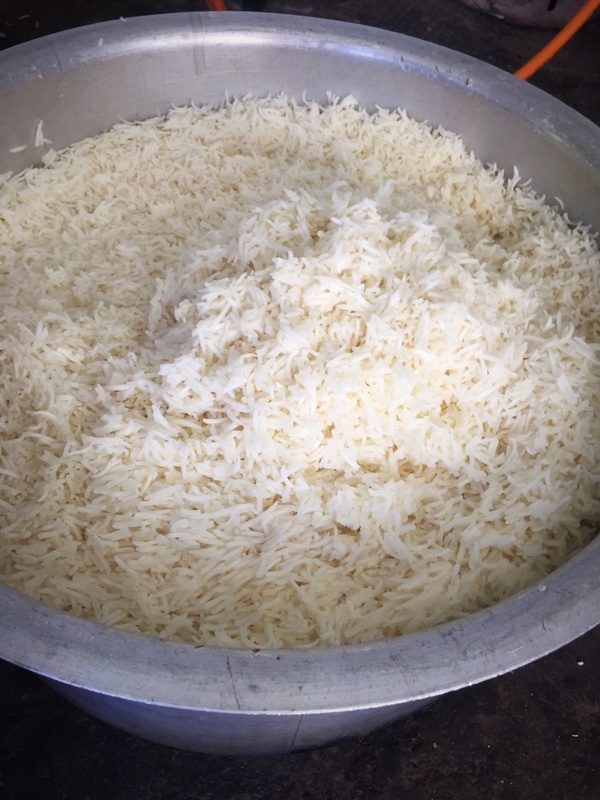 On one of these days we made Tawa Pulao. Tawa Pulao is very very popular in Gujarat wher rice is boiled and mixed with cooked veggies and spices. A chunk of butter is the highlight of the rice. 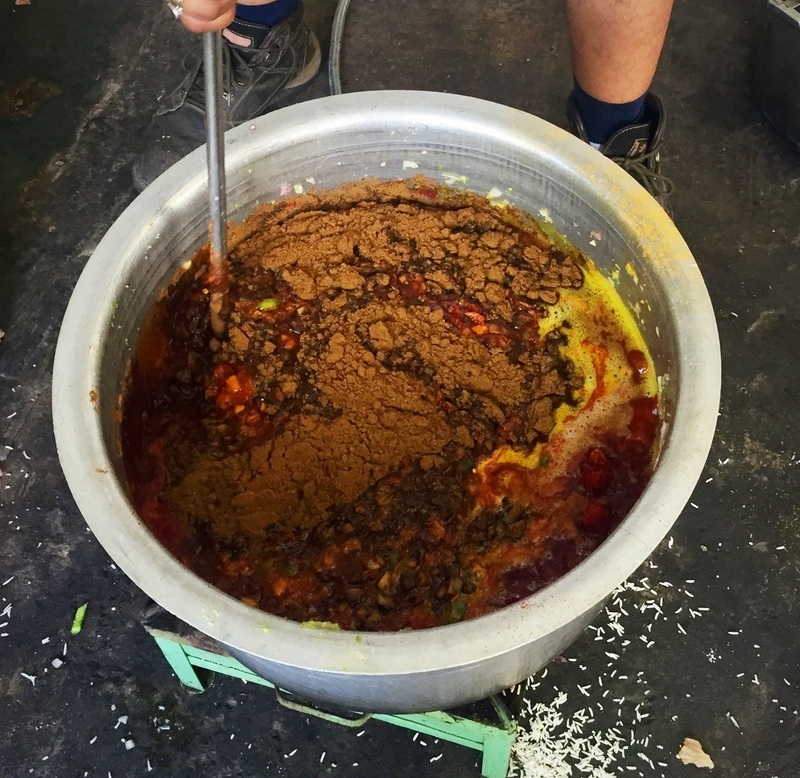 We boiled 16 kg rice, the total out put was 30 kg, which included onions, tomatoes, potatoes, garlic. Peas dry spices and lots of oil and butter. We had just one big burner and we finished making the rice in about 3 hours. I am scaling down the recipe for you guys..
Wash and boil the rice in a pot. Drain the excess water, and let the rice cool. In a pan add 1 tbsp oil. 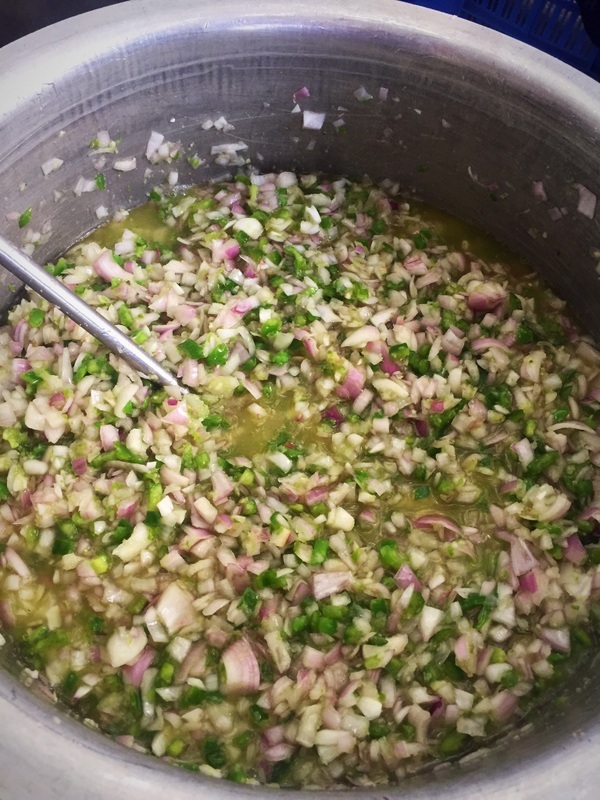 Add onion, capsicum and garlic and green chilly. Toss. Add cubed potatoes, boiled peas and dry spices. Add rice and tomatoes and toss. Remove from fire , sprinkle coriander leaves and a chunk of butter. Too good. Just drooling out there, I love Tawa pulav and the quantity you all have made here is amazing. First picture is colorful and tempting. That was a such a noble cause to volunteer to cook for so many people. Kudos to you. Wow Vaishali, that is such a nice cause to volunteer for — kudos to your efforts. 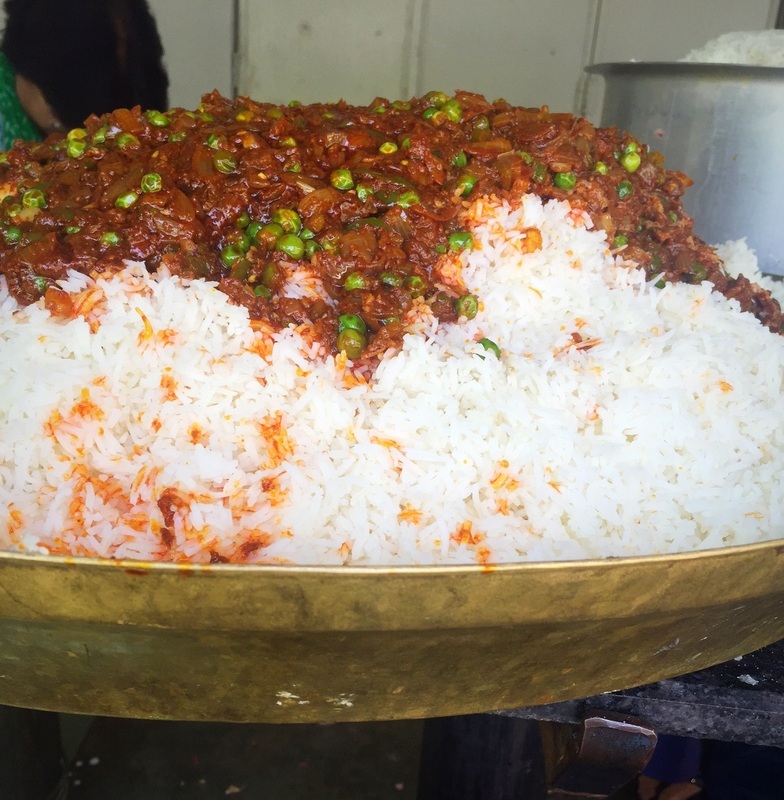 Tawa pulao looks absolutely delicious. Tawa pulav looks very yummy.. Those pics look wonderful. Omg, amazing. Kudos to all your efforts, tawa pulao looks absolutely fabulous. That was amazing.. I so wish I could have been able to join you guys. Awesome thought and the dish no doubt is a hit! 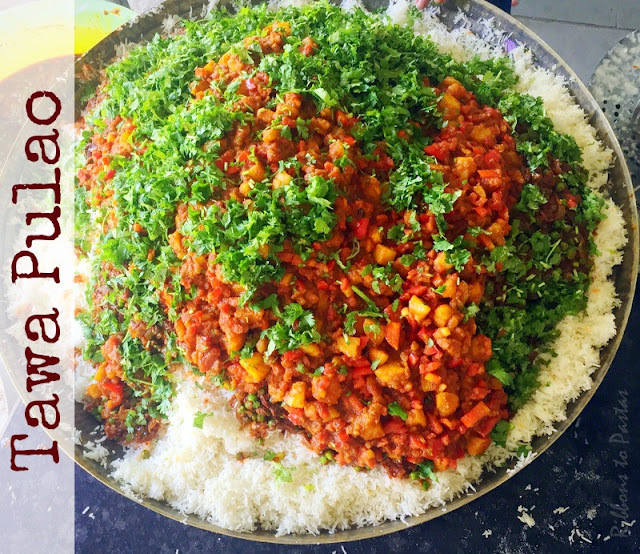 Tawa pulao looks mouth watering.Love your enthusiasm and passion for cooking.